Scotland futsal coach Scott Chaplain says the underdogs tag will suit his side as they embark on their first-ever World Cup campaign tonight. The Scots jetted out to Bosnia and Herzegovina at the start of the week and kick off their preliminary qualifying round tonight against Turkey at 7pm. Chaplain’s side were given a tough draw as they face top seed and hosts Bosnia and Herzegovina tomorrow before a clash with Switzerland on Friday. Tonight’s opponents Turkey had the highest coefficient of all the second seed nations and the Scotland coach knows his side will be up against it. He said: “Going in as underdogs, it is what it is. 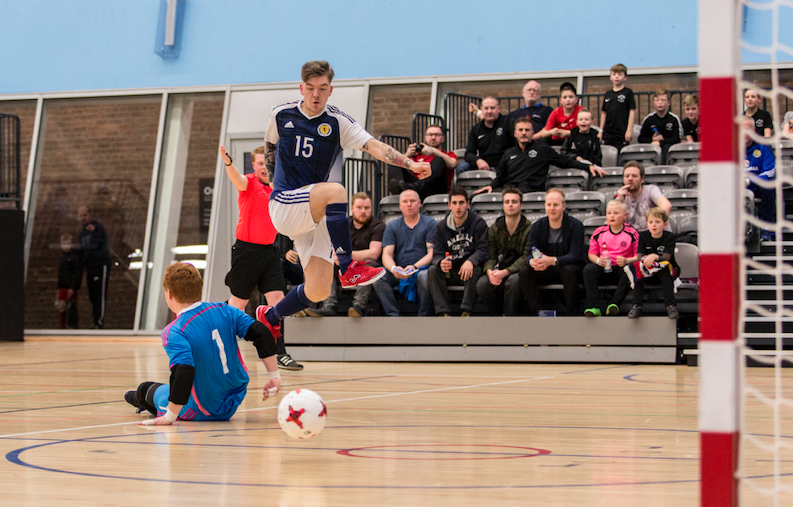 “It’s not just in futsal, Scotland is pretty used to being the underdog and having that tag. Scotland futsal coach Scott Chaplain. Chaplain, however, insists his side are better prepared than ever due to the emergence of the national Super League structure, allowing the country’s best players to test themselves against each other regularly. He added: “The more you play games, the more you are going to develop and it’s different this time because we have the Super League structure in place. And Chaplain expects his most experienced men of his 16-man squad to lead the way in Zenica. “You look back at the Home Nations and players like Dale Robertson were key,” Chaplain said. “Kyle Ballingall, too, is an experienced player as is Scott Mollison – they’ll be the key men through the spine of the team.